Once again questioning the move to deport Rohingya Muslims and also doing nothing to improve their living conditions, Advocate Prashant Bhushan who appears for the main petitioner today questioned before the Supreme Court 'why they cannot be given the same treatment enjoyed by Sri Lankan refugees'. Bhushan said as per an understanding between Centre and Tamil Nadu government Sri Lankan refugees have access to at least education and health care which Rohingya refugees are being denied. "Why this discrimination? 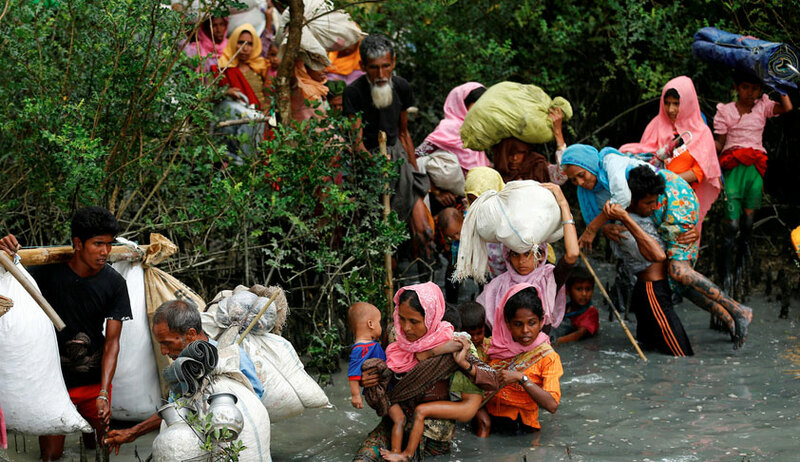 The same rules made for Sri Lankan refugees should be available and applicable to the Rohingyas too", he submitted before a bench headed by Chief Justice Dipak Misra. The bench meanwhile granted ten days time to Additional Solicitor General Tushar Mehta representing Centre to respond to all issues and fixed next date of hearing as March 19. Centre also has to respond to Bhushan's plea seeking a direction to the government not to prevent more Rohingya muslims from entering India by crossing the Myanmar border. "I have to obtain instructions from the BSF on what their stand is", Mehta told the court. The ASG on last date of hearing challenged Bhushan’s new demand and asked him “Do you want India to become a refugee capital? If this argument is accepted, it would soon turn out to be”. “Ideally the court should not interfere in these issues at all .These issues shall be decided diplomatically at an executive level. Because these are executive decisions and courts should not interfere”, Mehta had argued. Justice D Y Chandrachud then intervened to say that Principle of ‘Non- Refoulment’ prohibits the deportation of refugees to a country where they face threat to their life or persecution and said “To my view it applies only to those who are already here and not who are willing to come in”. Justice Chandrachud then had said ‘welcome’ word may be an exaggeration but there is an existing policy decision to the effect. Senior lawyer Fali S Nariman arguing for the Rohingya community had pointed out the Protection of Human Rights Act defines human rights to include not merely fundamental rights or rights under the Indian law but human rights arising out of international conventions to which India is a party. Nariuman had observed that the government can’t speak in two voices – one in the UN and international fora and another totally opposite in India and before this court.